Remember the Kids' Choice series back in May with all those awesome outfits made with fabric that the kids got to choose? Well, today we get to see what one of the winners made with her winnings from l'oiseau fabrics. 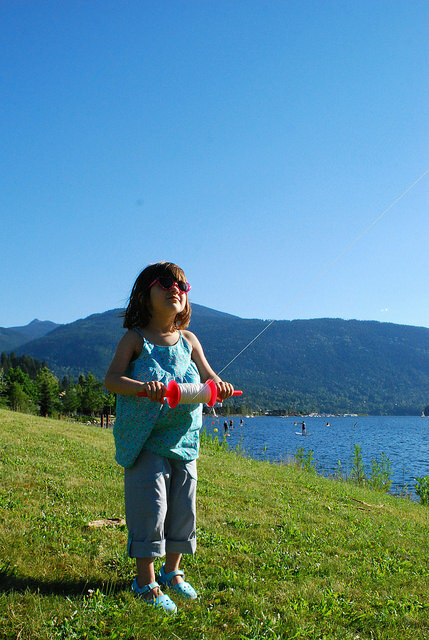 Angela is a stay-at-home mom who sews, knits, and takes beautiful photos of her adorable little girl for her blog, Snippet. I'm so happy to have her guest here today! Take it away, Angela! Way back in May, I participated in the Kids' Choice contest, and much to my surprise and delight, was one of the winners! In the spirit of kids' choice, my daughter and I sat down together and planned what we would buy with our $50 gift certificate to the lovely l'Oiseau Fabrics. My goal was to make a few casual, comfortable summer pieces that will work with other things in her wardrobe. Considering that all three pieces had either grass stains or melted ice cream drips on them by the time I took pictures, I would say that they are working out well. 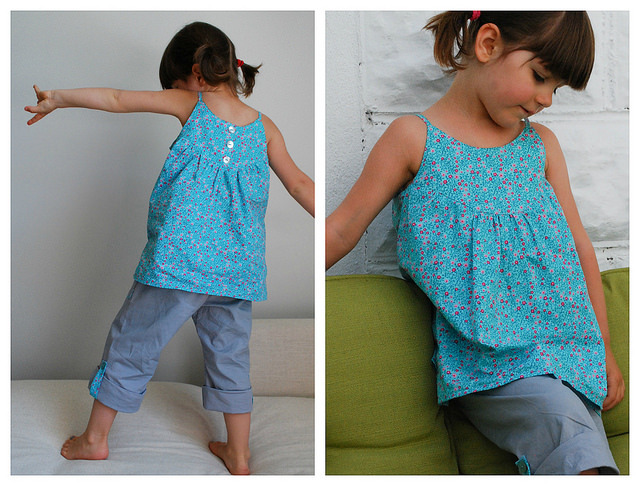 First, I made an Oliver and S Swingset tunic in the blue Trellis print from l'Oiseau. I have to say that I initially bought the Swingset pattern just for the skirt, and had kind of overlooked the tunic. But when I was browsing through my pattern collection to find a summer top, I decided to give it a try. For some reason, it wasn't my favourite O & S pattern to sew, but I do love the look and fit of the final product. It is light and airy, and really a perfect summer top. 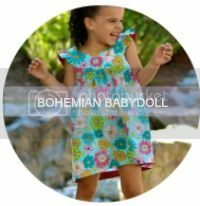 The tiny floral pattern is sweet and so perfect for a little girl. The Stenzo poplin is light and drapey - much nicer for garment sewing than regular quilting cotton. 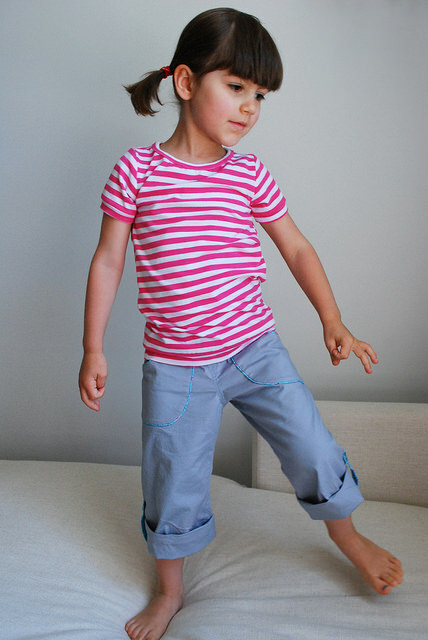 The pants are made with Made by Rae's Parsley pants pattern, with and added tab and button so they can be worn rolled up. They are sewn from a grey stretch poplin, which seems to be sold out. I made the pocket piping (yay, my first time!) and button tabs out of the floral fabric. 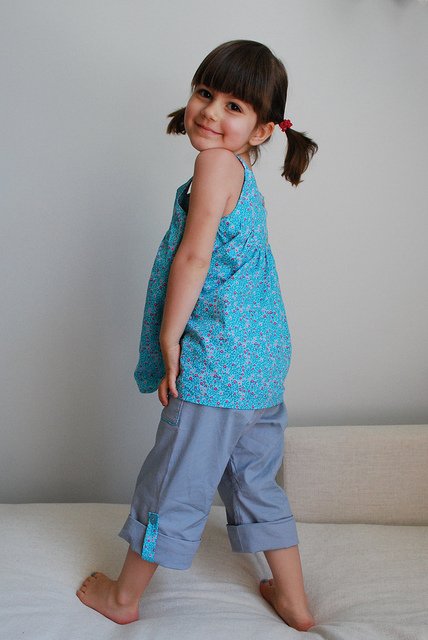 They are nice and light and look super cute (the flat-front Parsley pants are a proven winner around here - this was E's fourth pair, but first summery version). They look nice rolled down too. The pink-and-white striped T is a modified Flashback - I cut the neck opening slightly larger, used short sleeves, and added a band at the bottom (this is an experiment to see if E will be less likely to feel the need to stretch the banded hem over her knees, because she usually blows out the hems on her t-shirts in no time). The fabric is a Stenzo jersey, and it is soooo soft, and a lovely weight for t-shirts. Love the Stenzo jersey! Thank you so much Heidi for hosting Kids' Choice, and allowing me to share some of my projects. And of course, a big thank you to l'Oiseau fabrics for the lovely gift! I am so happy to have found a great selection of garment fabrics from a Canadian source, and will definitely be back for more. Have a great summer everyone! 5 comments on "Kids' Choice Winner - Snippet"
I am loving the knits and poplin too:) very sweet outfits- I haven't tried either of those patterns! Great piping details! I love everything you made! Oh and those pants are extra sweet! all those clothes are so beautiful and summer-y! great job! Hello! If you love sewing for kids, you’ve come to the right place. I’m Heidi, a Canadian stay-at-home mom of two precious children. 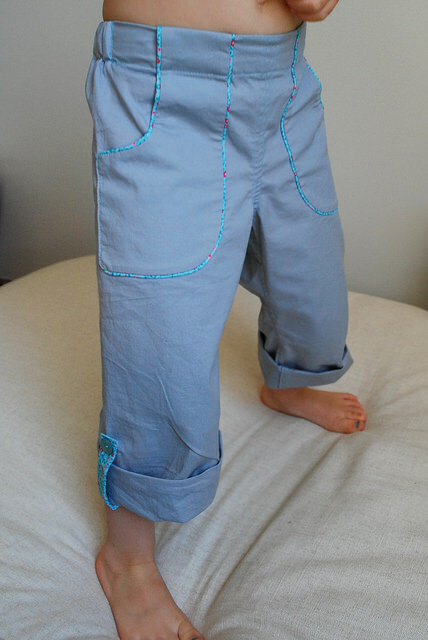 E&E is where I love to share all the sewing-related projects & patterns I make for my children. Hopefully you'll enjoy what you find here and stay awhile! 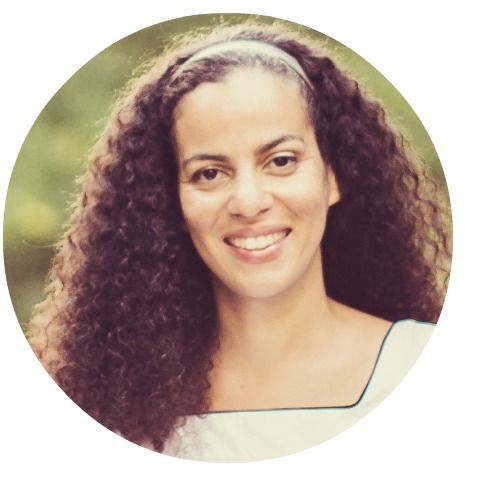 Elegance & Elephants is a place where Heidi shares her sewing creations and designs for E&E Patterns. 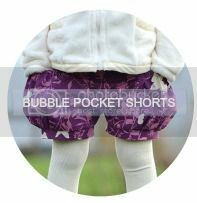 She particularly loves classic children's clothing with a modern twist, whether it be with the type of fabric, colour, or style.